We can all agree that content marketing is king – from blog posts to Facebook posts and everything in between, creating unique and useful content is the best way to connect with your audience. But content marketing requires more than just well-written text to be effective. It needs to get noticed. One way to get noticed is to use images that complement the content, catch the reader’s interest and improve your chances of getting found on Google. As a matter of fact, images are one of the most valuable tools for getting better results from your written content. Visitors are 80% more likely to read content if it’s paired with an image and 64% more likely to remember what they read. So there you have it. You need images to promote your business. Now the question is – where should you get them? 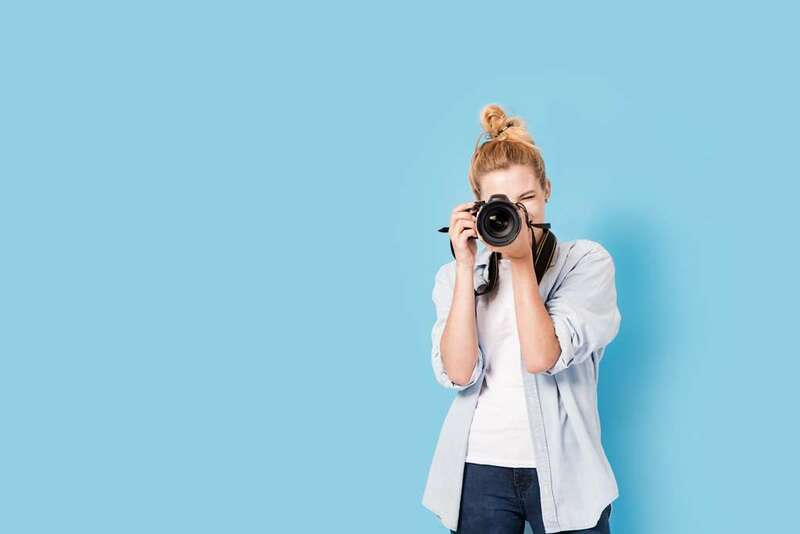 Technically, you have three options: you can either use stock images, snap the photos yourself or hire a professional photographer. We recommend the latter. Because original photography just works better! People respond more positively to images that feel authentic. No matter who your customers are, professional photography is an important asset that will contribute to your business’ success. 1. Professional photos establish your brand identity. Imagery is an indispensable part of your brand communication, be it through social media or through your website. It shows clients your brand’s personality – i.e. whether it’s casual or corporate, conservative or fun. Plus, they make you look like a professional who is serious about what they do. 2. Professional photos grab the attention of your customers and give a good first impression. Images on your website and social media are often where your potential customers get their first impression of your business. That’s why it’s necessary to make your business stand out with good quality images that are right for your brand. 3. Professional photos give an authentic visual representation of your brand. The imagery you use for your business should have a distinct style that is unique to your business but also easy to identify. When customers see the images a few times, they make a mental association that the images belong to one company. You could always use stock photos, but because that don’t show your actual product, service or business, just won’t feel authentic. 4. Ultimately customers want to get to know YOU. When customers visit your website, they want to get to know you, what you do and why you do it! This is because it’s proven people are more likely to do business with someone they know and trust. Stock photos don’t help them do that – even worse, they could give people a false impression of what you offer. The best way for potential customers to get to know your business is by showing them actual photos of your business, your team and what you do. 5. Stock photography simply feel inauthentic. Stock photos can be bought by anyone, so the chance that another company is using the same image is high. Also, if a photo on your website associates with a business the visitor has had a bad experience with, those associations can influence how they view your brand. That’s not to say that you can never use stock photos. There is definitely a time and a place for them. 6. The quality of professional photography is incomparable. No matter how good your smartphone camera is, you can’t compare the result to the quality produced by professional photographers. Their knowledge acquired over years of learning and practice, coupled with the great quality gear they use, guarantees the final images are high quality with thought-through composition, consistence and appeal. Plus, professional photographers know all the tricks on how to make you look and feel great! 7. Professional photos give your business a competitive edge. High quality images stand out from the crowd and make your business unique and professional. And which company doesn’t want that? In conclusion, professional photography is one of the easiest way to set the tone for your whole website, and tell your customer that you are committed to providing them with professional service and quality product. If you value your brand, you should hire a professional photographer to help you with your business growth. Are you now ready to book a professional photography shoot for your company? Or interested in learning more about the benefits of professional photography when it comes to promoting your business? Contact Chilli today.